How to Buy From Auctions| JTM Co., Ltd. 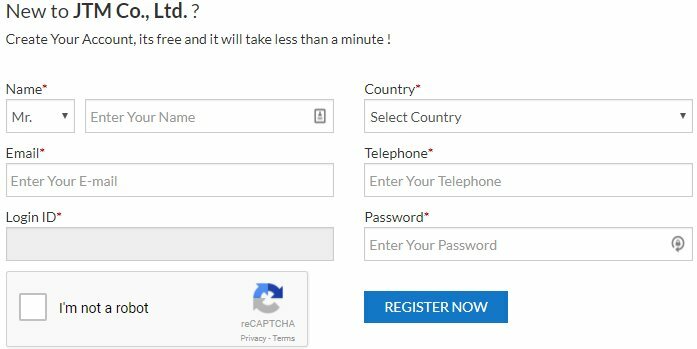 Please fill in all the necessary details on the Member Registration Form, then click the Register Now button. Make Deposit Before you start bidding at Japanese auctions, we must receive a totally refundable deposit forwarded to our bank account via Telegraphic Transfer. Please note all the transfer fees must be covered by the sending party. If you wish to request a refund, will grant your refund within 2 business days of your original request. Without the deposit, we cannot bid on any vehicle at the auctions in place of you. If you cannot make a successful bid, the security deposit will be fully refundable or allocated to the payment for reserved order based on customer's request. 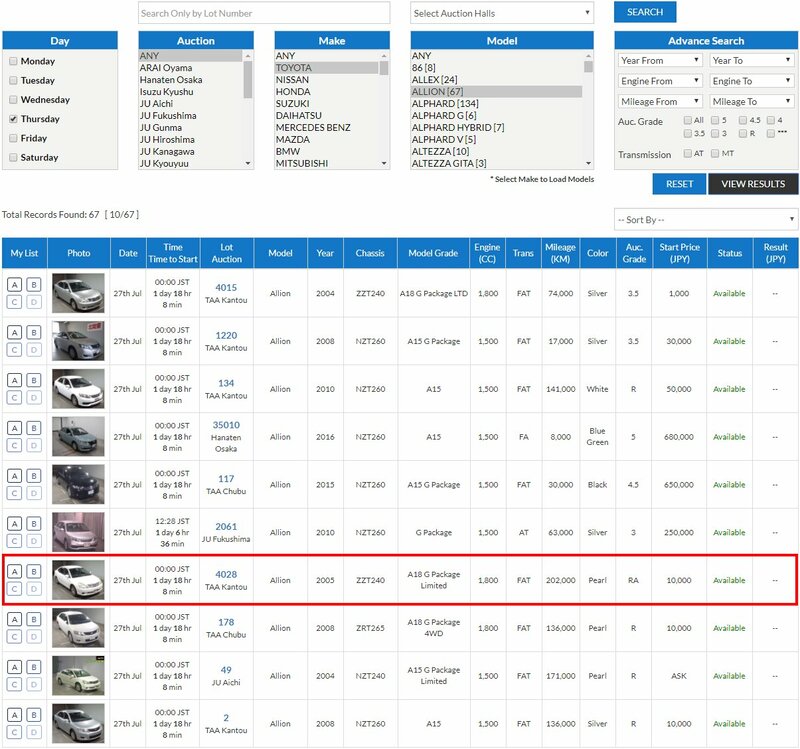 Choose your favorite Vehicle from stock and make bid. 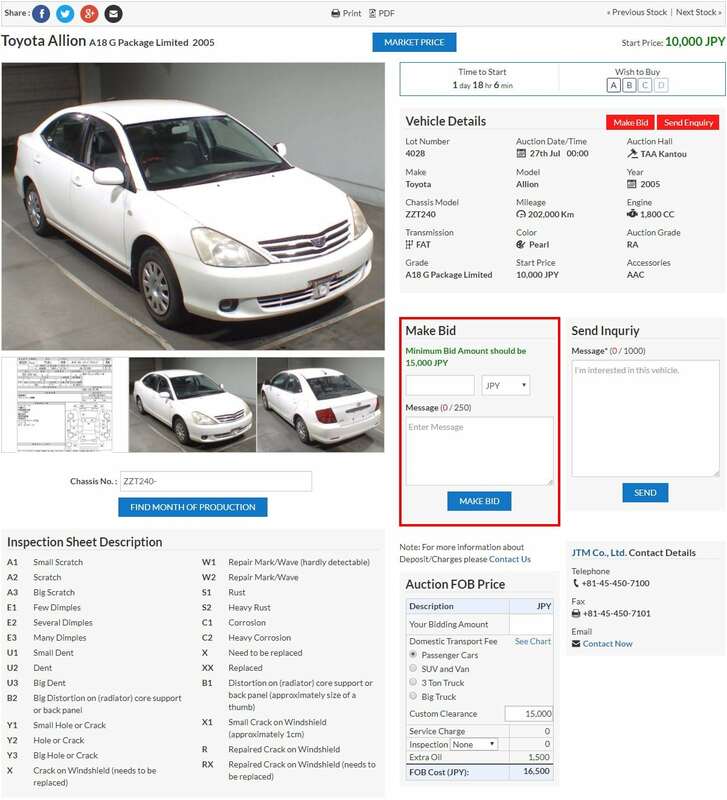 After selecting your favorite vehicle, you can see full detail of vehicle and you can submit bid of that vehicle by "Make Bid" form. If you want to send inquiry of that vehicle then please use "Inquiry form". Once you win the Bid, we will send you Proforma Invoice. If the bidding does not get successful, security deposit is returned back or use it for the next bidding. Please transfer the balance in full within 3 days from receiving the invoice in our bank account. We will send the shipping documents via EMS, DHL or OCS.